One of the most precious treasures on this earth is gold. 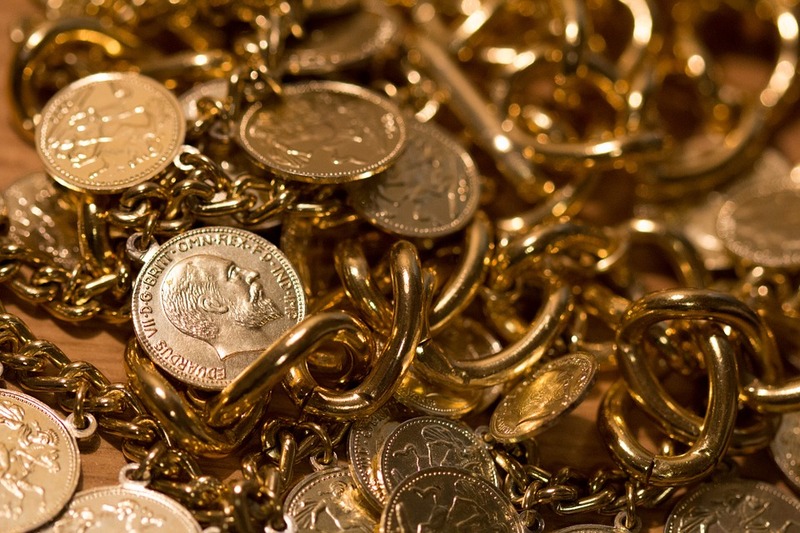 Above all else, gold holds the highest value because of its history, appeal, advantages, and rarity. In 1838, with limited forms of travel available, California’s gold caused hundreds of thousands from all over the country to come rushing wildly after it. Did you know there are at least six things more precious than gold? True Beauty. Not the kind of “beauty” you see every day, but the beauty of a still and gentle soul. Looks are deceiving, men . . . for what may be found in the spirit of a godly woman is more beautiful and precious than all the gold jewelry in the world. Genuine Faith. Pure gold and genuine faith share a harsh past: the fire. But faith, when it has been tried, leads to praise, honor, and glory when Jesus is revealed. Purified gold simply cannot boast of the same. The Word. We are born again through the Word. The living and abiding Word. Did you really think gold was living and abiding? Jesus. Though rejected by many, his Father chose him as most precious. And on Jesus, our Living Cornerstone, we build our lives. The Blood of Christ. Our ransom has been paid. Not with perishable things such as silver or gold. But with something far more precious – the blood of Jesus Christ. Our Inheritance. Some may inherit money, but our inheritance is imperishable, undefiled, and unfading. Gold doesn’t even qualify for this one. So you see – as precious as gold may be, there is one problem – it dies. Gold is a rare, precious, perishable metal. Though esteemed for its “beauty” for centuries, the shiniest gold eventually fades. And though faith and gold both pass through the fire, only genuine faith endures to the end. Gold does not live and abide forever, so the Word of God wins on that score. And the Most Precious of stones, Jesus himself, ever lives and shines brighter than them all. The blood of Christ brings many sons to glory, a ransom gold simply cannot pay. And the inheritance given to those blood-bought children causes mounds of gold to grow pale and dim. So though many through the ages have rushed wildly after gold, we note the history, appeal, advantages, and rarity of things far more precious. Though we are few in number, the race begins. And striving for that which is truly precious, we rush right past the gold. Reading in I Corinthians 3 right now and wondering if any of us is qualified to distinguish between gold and the wood, hay and stubble that will end up in the fire. Thanks for this invitation to slow down and ponder what’s truly valuable. How true! Gold equals wealth here on earth, but wealth can be lost. We will never lose our Savior! Thank you for sharing this Truth! I ditto what Carrie said…great post. Great reminder! All of these things are indeed way more precious than gold. Such truth in a world that values material riches. I am visiting from Open Mic Monday and would love to invite you to linkup with #JesusandCoffee on Wednesdays at http://www.amommasjoy.com Hope you have a wonderful week! So many things more precious than gold! Beautiful post! Thanks for sharing at #LMMLinkup! Lydia, your post today is awesome. More precious than Gold, yes !! Thank you for sharing with us here at Tell me a Story. This really resonates with me–both strong faith and gold hav eto go through a fire! Amen. Thank you for this, Lydia. Thank you for linking up to Open Mic Monday for the soul at Cisneros Cafe. He is far greater than gold. Have a great rest of your week!